The General Evaluation Report is a statement summarizing applicant's full educational background, with U.S. level of equivalency for each degree obtained, from high school to the highest degree completed. This type of evaluation can be used alone for employment and immigration purposes. For high school graduates, the General report is used to confirm U.S. high school equivalency for admission to a community college. The Course-by-course Evaluation Report is a transcript-like evaluation report, showing all the courses listed on your own transcript, with U.S. equivalent credits and grades. Statement of U.S. degree equivalency is NOT included. This type of Evaluation report is mostly applicable for applicants who only completed a portion of a study program, have not yet graduated. The purpose is for possible transfer of credits for continuing education. The Comprehensive Evaluation Report covers both types of evaluation reports above. Applicable for applicants who completed one or more post-secondary study programs and graduated with a diploma/degree. 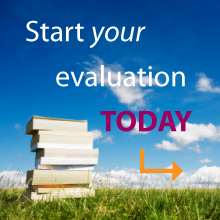 This type of evaluation is used for graduate admission consideration, employment, and professional Examination/Licensing purposes. This type of report is also applicable to high school graduates who want to apply directly to a university. Important Note: Different agencies and institutions have different names for different type of evaluation reports. We encourage you to take note of this and read the description of what your institution requires, and use it to decide on what type of evaluation to request on our application form. You must read the Terms and Conditions of Service on the Application Form, complete the form FULLY (especially Part D: Educational Institutions Attended), and sign the form. An unsigned Application Form will not be processed. (NOTE: We request that you also print and fill out the Fee schedule at the as well from the website and send with your application). If you would like to request the official Evaluation report to be sent directly to the intended institution of your choice (Part E on the Application Form), it is recommended to have it sent by a traceable mailing method, such as Certified Mail. The Center by default sends your official Evaluation by standard first-class mail if requested to be sent directly to an institution, at no extra charge. However with potential incidents of lost or misplaced mail, you will be able to prove to your institution that it was sent and had arrived with a tracking number if they claim their mailroom did not receive it. You may select an alternate mailing method on the Fee Schedule. All academic documents (Transcript of Records and Diploma if graduated, for all studies leading up to the highest degree you wish to have evaluated) must be original or official (still in a sealed envelope from the attended institution), for verification purposes. We recommend sending them by mail with a tracking number so you can track your documents until they reach us. Original documents sent in by the applicant, whether sealed or unsealed, will be returned, along with the official Evaluation Report in a sealed envelope (unless you choose to have it sent directly to an institution), as well as an Applicant's copy of the official evaluation via a secured mailing method of your choice (see Item 3 on Fee Schedule). If you have official sealed transcripts from the institution, please send them to the Center unopened for evaluation. Sealed official transcripts, especially if sent directly from your institution, will speed up your evaluation process. Please note that official transcripts/documents addressed or issued specifically to the Center will not be returned to the Applicant. Original documents are required as a part of the Center’s multi-level verification process. Additional methods of verification in a few cases may take longer depending on the issuing institution and their response time, adding to the overall time of the evaluation. Applicants will be notified in these less common cases. NOTE: If the Course-by-course or Comprehensive evaluation is requested, the submitted transcript or marksheet must have credits or total hours of study for each subject listed. If your transcript does not display this information, you will need to send a syllabus showing the credits or hours per subject, OR, complete the Center's Reconstruction Form. In summary, if your transcript or marksheet do not display credits or hours, and you do not have a syllabus showing the credits or hours per subject, then send the completed Reconstruction Form with your application package. Note that an additional reconstruction fee applies (see Item 5 on Fee Schedule). Certified English translation for non-English academic documents is required for the evaluation process. Please see below for requirements for translations. If translated in the United States, English translation MUST be certified and done by an ATA (American Translators Association) Translator, US Court Certified Translator, or US Federal Certified Translator. We will accept all ATA “Certified Member” certified translations (note that there is a difference between ATA “Certified Member” and ATA “Member”), US Court Certified Translator translations, and US Federal Certified Translator translations. We will accept most ATA “Member” certified translations, but reserve the right to require the Applicant to obtain a new translation from a different source if deemed necessary. If translated outside of the United States, we will accept most certified translations completed by an internationally recognized translation agency/institution from the country where the study was completed (eg. embassy, university, Department of Justice translators, etc. ), but reserve the right to require the Applicant to obtain a new translation from a different source if deemed necessary. At any time there is a discrepancy in translation, the Applicant is responsible to have it verified and corrected by the translation agency, or may be required to submit new translations from a different source. Notarized translations and self-translations are are not accepted. These two (2) copy sets must be submitted with Application package upon applying, and any time new original documents are submitted. If the copy sets of all original documents are not submitted, a document copy fee of $15 will be charged. Submitting copies of documents at a later time after we receive your Application package or any original documents/translations will not waive the $15 document copy fee since we have already made copies of your documents if copies were not provided. The copies must contain all parts of the document, including all edges and the back side of the document. If your document is larger than standard size paper you may choose to scale down the size when copying to fit on standard 8.5" x 11" Letter-sized paper (recommended), or you may choose to print on larger paper. All details must be legible and clear. You must also copy the back of the document if it is not completely blank. Please use a separate sheet of paper for each copy (do not submit two-sided copies). NOTE: If you have sealed transcript of records, do not open to make copies. The Center will make copies of the official sealed documents upon receiving them, and the document copy fee will be waived for these documents. Please print the Fee Schedule, and mark on the schedule the appropriate fees: evaluation fee, postage and handling fee (required for the secured return of your original documents), and fee for any other optional services you may want, such as GPA, Rush Service, etc. Please note that we do charge a $15 document copy fee if TWO (2) sets of copies of all original documents and translation are not sent in (see prior section for more details). Sum all fees at the Total Fee Box at bottom of the Fee Schedule. MAIL the Fee with all the above items to the Center. Personal check and money orders are accepted for all routine evaluation requests, payable to: CAREE / International Eval. Service. If you prefer to pay online and/or by credit card, the Center offers payments through PayPal. Please note that a small PayPal transaction fee will be added to the total evaluation fee, ranging between $3 to $20 depending on the total amount to be paid. If you wish to pay by PayPal, please include a note in the Application package indicating as such. We will review your application and send an Invoice to your email address with the exact itemized fee. We ask that you do not send any payments outside of a PayPal invoice. Rush services of one (1), two (2) or five (5) business days are available. Those requesting a one (1) business day rush must call the Center first for pricing, availability and instruction. Evaluations with any Rush request must be paid by a bank cashier’s check or money order, in U.S. dollars. If the bank check is issued by a bank outside of the U.S., the bank must to be associated with a bank within the U.S., where the check is payable by this U.S. bank. If payment is made by a personal check, rush service will not start until after the personal check has cleared. Rush service will start when payment is accepted/cleared, and all documents are received and acceptable for an evaluation. If documents have to be further verified by the issuing institution, Rush service will start when verification is received from the institution. Request for a copy of the Evaluation Report to be sent by email attachment directly to the intended institution can be accommodated for a service fee of $15.00. Please request by adding a note on a separate sheet of paper which includes the information requested below, and send this with your application package. You must provide additional information with this request, including the Name of the Institution, Name and Official Title of personnel (if applicable), and Email Address of the personnel or institution receiving the electronic copy of your evaluation report. Electronic copies will only be sent to verifiable sources in areas such as admissions or human resources or similar. We do not send electronic copies to applicants or anyone outside of these criteria. Note that once you make this request to email to the institution, we must address the physical evaluation directly to the same institution. An emailed version is not considered official. Routine evaluation time is 2 to 4 weeks, depending on the completeness of documents and information submitted. Routine evaluation process is done on first comes first served basis. All Evaluation requests for CPA Exam from ALL the State Boards of Accountancy, California Architect Board, California Acupuncture Board, California Speech-Language Pathology and Audiology Board, ASHA, or any other institutions requiring certified copy of original documents to be sent along with the evaluation, require an extra service fee of $20. This fee covers the certified true copy cost ($10), which will be enclosed with the official evaluation report to be sent to the board, as required by them, as well as certified mailing ($10) of the evaluation report directly to the Board. Please note that hand deliveries are not accepted at the Center. © 2019 Center for Applied Research, Evaluation, and Education, Inc.